The interesting thing about this movie for me was not just the graphics, but the story. As we have tried to explain the value of immersive 3-D environments to our customers, one of the things we have been talking about is how users (avatars) carry with them a "tag cloud" of relevant information. In the case of a ProtoSphere user, each avatar has an associated user profile, blog, wiki; and affiliations with different team blogs and wikis as part of his/her collaborative knowledge network. 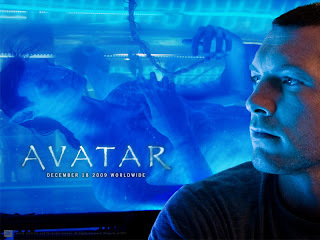 In Cameron's movie, the indigenous Na'vi people actually connect to their "world" biologically. The planet they live on is a biological network, where information is distributed. The overall intelligence of the system is based on the number of connections. It is exactly this kind of knowledge network effect that we think immersive, always-on virtual "worlds" provide to organizations. If you look through the discussions on this blog about what will be the next generation collaboration and online meeting environments, a key point has been how time-bound 2-D meeting platforms don't have the always-on persistence of an avatar-based world. In fact, in most current generation collaboration and meeting tools, the data is the center of focus, not the human. An avatar-based collaboration medium give us an opportunity to organically connect the right people and the right data together at exactly the right moment, to make optimal decisions. Much as the Na'vi people have always done. There are myriad moments of beauty and of poignancy. And the final battle is worth the price of your 3D glasses alone.